Were there any synergies in the original Sharp-Recurrent acquisition? Why is Sharp selling off this project developer? CEO Arno Harris weighs in. Sharp Corporation is looking to sell solar project developer Recurrent Energy for approximately $321 million as part of a reorganization, according to reports from the Kyodo News agency. 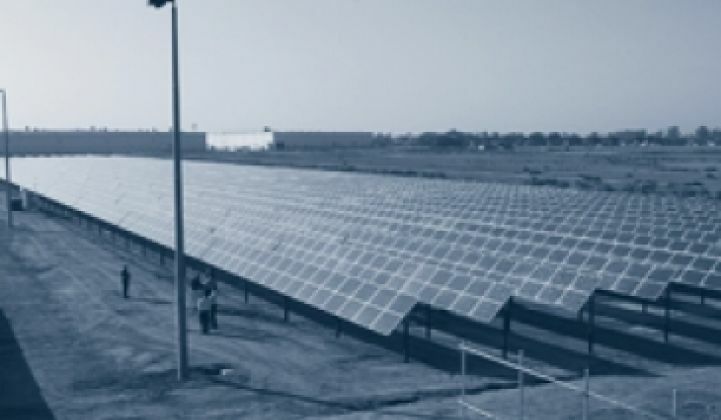 Recurrent has a solar project portfolio of 500 megawatts and a pipeline of 2.5 gigawatts, according to the firm. When Recurrent Energy was purchased by Osaka-based Sharp in 2010, it was happy news for the solar industry and, to some extent, the venture capitalists investing in the solar space. Sharp paid $305 million for a 100 percent stake in Recurrent Energy, a solar project developer. Investors in Recurrent included Mohr Davidow Ventures and Hudson Clean Energy Partners. It was MDV's first greentech exit. The acquisition was part of a trend by upstream solar manufacturers to move downstream and capture some of the value in installation and project development. This charge was led by First Solar, SunPower, and later MEMC's acquisition of SunEdison and Hanwha's downstream plays. The original acquisition seemed to effectively bring together two companies that were both in need of strong allies. Sharp was one of the largest and historically strongest solar module makers in the world and Recurrent was one of the largest independent solar power project developers. With Recurrent, Sharp had a group that could bid on solar power projects, and then build them with Sharp modules. Recurrent had a 2-gigawatt product pipeline: that could sure soak up a lot of modules. Sharp made this acquisition but never expressed the intent to "capitalize on the synergies between Recurrent and Sharp Solar," in the words of GTM Research's Senior Solar Analyst Shyam Mehta. Instead, Recurrent remained independent from Sharp's solar business with the ability to build its pipeline with external modules - and was highly successful in doing so. The GTM Research solar analyst team adds, "Recurrent Energy has 223 megawatts of utility projects contracted and operating in the U.S., placing it among the top ten utility scale developers in the country. However, Sharp's stake in Recurrent has not created a captive pipeline for its modules -- the majority of Recurrent's current pipeline utilizes modules from Suntech and Yingli. While this was the intent expressed by Sharp from the first announcement of the acquisition, an opportunity to use Recurrent as a throughput enabler may have been missed." More details in GTM Research's utility PV tracker here.